Can It Help Your Eczema? Licorice root extract is made from the root of the licorice plant. Its Latin name is Glycyrrhiza glabra. The licorice plant is found growing in areas of Europe and Asia. It is reported to help with many different ailments. 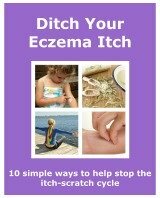 It has some properties that can help you to manage your eczema. Licorice root is also high in many nutrients, minerals and antioxidants. These can also be beneficial for your skin. Gel or Cream. Can be applied to the affected area a few times daily. Reports show that a 2% strength gel or cream can be beneficial on eczema. Make your own by adding a licorice root tincture to your favourite eczema-friendly cream or gel. To make it 2% just measure out the base cream and work out what 2% of that amount is. So, for example, if you use 100ml of cream then you add 2ml of tincture to it. Always mix it well so the tincture is spread evenly through the cream. Although uncommon, some people may have an allergic reaction to licorice so to start with it may be worth starting with a weaker mixture, say 0.5%, then gradually increasing the strength. The main component of licorice is glycyrrhizin. It gives licorice it's sweet taste. Glycyrrhizin be a problem for people who have high blood pressure, kidney or liver problems and heart disorders. It is definitely always recommended that you check with your doctor before taking or using any licorice root product. It is recommended whether you have any known health issues or not. It can interact with some medications. There are products available that do not contain glycyrrhizin. These are called deglycyrrhizinated licorice, or dgl licorice. Products are usually labelled dgl if there are. If it is not labelled then presume it contains glycyrrhizin. It is suggested not to take licorice root if you are pregnant or breastfeeding. Licorice root extract has many positive benefits that could help you manage your eczema. If after speaking to your doctor you decide you still want to try it, you have the benefit of there being a few different ways to take or use it. This helps to make it very versatile, and you can find the way that suits you best.